Whoever wants to become successful has no other choice but to deal with the issues of the times. It really is a long way to go for sure. The challenges of our modern world are becoming complex by the minute for many companies. In many ramifications as digitalisation, globalisation, sustainability, diversity and leadership, there is an apparent lack of resources and know-how to cope with these changes. Are you looking to ground a company that is sustainable and future-oriented? Then why don’t you let our team of innovation experts, communication strategists and human resources managers help you get on track. We develop with you strategies for mindset development, change management and social impact - everything you need to gain new perspectives, discover future-oriented business models and create holistic structures. The effects of digital transformation are seen all across the world. What many fail to recognise however is that softwares and processes are only the tip of the iceberg, in reality true transformation is a matter of culture. The power of habits - attitude makes the difference. We know this from sporting events. The attitude is reflected in the fighting spirit and determines the result. Today's world is less defined by clearly marked out tasks, but requires thought, proactivity, passion and flexibility. The world of work is changing. Agility and customer proximity are more important for companies and employees now than ever. Therefore, new forms of work that encourage collaboration and innovation and emphasise flexibility in the forefront are emerging. We help startups from brainstorming through the validation of the first approaches to a clear strategy. We are also involved in questions concerning financing, structuring and law. Strategy is communication and without a clear concept of communication, strategy remains nothing but an idea that will never achieve its full potential. Employees and markets need to know their position and orientation so that they can optimally implement their impact. Positioning defines your unique position and is the breeding ground for which your partners and customers not only hire and pay you, but also for why you become irreplaceable to them. Lumen is a strategy and communication agency. We are more than just a mere consulting firm. We are a collective of experienced partners filled with the burning desire to spark a change in the business world. We take companies and enterprises on an adventurous journey while helping them achieve their goals. We regard Startup ideas as a mustard seed that has the enormous potential of germinating and blooming into a fully grown tree littered with fruits. We treat established organisations as a tree branch that needs to be pruned so as to flourish even more. While we transform bare ideas into flesh, we also sometimes overhaul traditional systems often employed in established firms making them an active player in today’s transient and complex world. We work with both large corporations and small scale Startups who wish to stand out by exploring new and different directions or by changing their culture of operations. We achieve this by rendering services that are perfectly tailored and customised to the specific needs of each client. Our team of innovation experts, communication strategists and human resources managers help you get on track. We develop with you strategies for mindset development, change management and social impact - everything you need to gain new perspectives, discover future-oriented business models and create holistic structures. We believe there is no success without communication. Whether internal or external, communication does not have to be cliche and this is why we at Lumen, believe in the crafting of strategic and creative communication aimed at both target audiences and employees. We also believe in the transformation of mindsets and since corporate culture is not an explicitly defined phenomenon, we believe that every organisation is responsible for shaping its own mindset, which in turn, is a reflection of the corporate culture. This is why we are founded on the ideals of Transformation, Mindset, Corporate Culture, HR and New Work, Co-working, Strategic Communication amongst others. Whether the transformation you want to achieve is digital or global, whether you want to be more innovative, agile, or scalable, our team of communications strategists, innovation experts, and human resources managers work step-by-step with you throughout the implementation process. In the words of Peter Drucker, "culture eats strategy for breakfast." We all know what this means in everyday business. All the more reason we specialise in corporate culture because that's the key to attaining real impact. 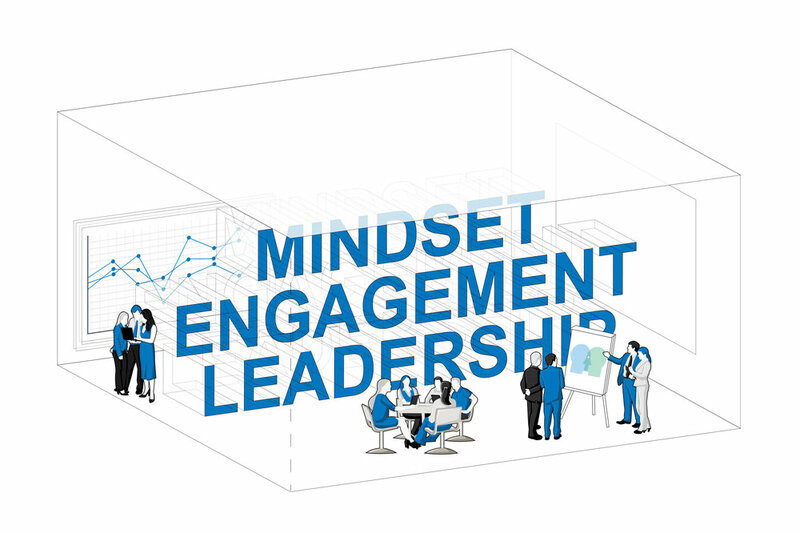 Studies are unanimous - the most notorious challenges for change are mindset and workforce competence. Microsoft, McKinsey and Capgemini all confirm this. It is the negligible factors that prevent or enable transformation. This is where our strength lies. Unprofessional transformation hurts. According to forecasting models, inadequate approaches in organisational development can cost you up to 20% or more of sales. Reach out to us and we'll be glad to prepare the cost-benefit analysis for your case. The attitude makes the difference. We know this from sporting events. The attitude is reflected in the fighting spirit and determines the result. Progress arises where strategy and mindset pay for the same goal. Our simple key formula is: success in change = strategy + communication + empowerment. In companies, we see the mindset in the way employees go about their jobs. Today's world is less defined by clearly defined tasks, but requires thought, proactivity, passion and flexibility. We translate your strategy into crystal-clear communication for your employees. it is almost unstoppable. Instead of politics, protection of assets and reactivity, what companies in transition need is a powerful orientation. The co-development of Mindsets is our basic discipline and our passion. Even with a mellow topic such as Mindset, there are clear indicators (KPIs). We have developed transparent measuring points to evaluate how much effect a common mindset has on sales, employee and customer satisfaction and the innovative strength of the organisation. Studies show an impact of 20-40% on sales, 20% on productivity and 50% on innovation. This is confirmed by our references. Mindset: What enriches a common orientation? Seems complex? Contact us and we'll deliver everything you need from one source. Did you know that only 13 of the 30 DAX companies from 30 years ago are still in operation? More than half of them have either merged or downsized. And the speed of such occurrences is significantly increasing with the advancement of globalisation and digitalization. 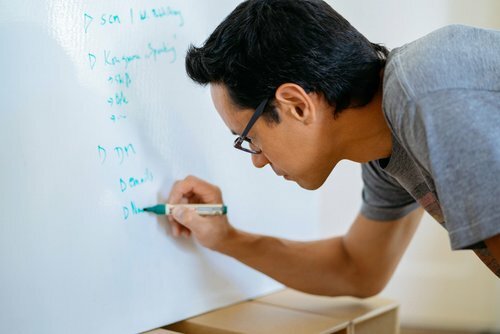 New media and big data are forcefully opening the doors into established organisations - while young employees are coming up with different expectations than they were 30 years ago. Employees of today expect a different set of values from companies; freedom of design, purpose, collaboration and work-life balance. Start-ups and co-working spaces speak to this generation's needs in contrast with the slow mills of traditional organisations. The future is already here and we have learnt from it. Last year, there were nearly 15,000 co-working spaces worldwide, whereas 5 years ago there were only about 3,000 of them. Where do all these users come from? From traditional companies, of course! Working people today are often willing to take risks and design their world - and unfortunately mostly outside grown structures. Entrepreneurship is booming and creative minds are making their way. For years, studies have shown that only a fraction of the workforce is “engaged.” And the rest? Benevolent, neutral or inwardly resigned. But in the environment of New Work, it is the other way around - 84% are "engaged" there. If certain skills become scarce in the future, it needs a good environment to attract the best. Talk to us - our case studies show how startups act, what hurdles they overcome and how companies can update their culture. We help Startups with their brainstorming process, validate the first approaches and eventually finding a clear strategy. We are also present to chime in on financing and structuring issues, drawing on contacts and experience in the M&A and VC sector. From business development, personnel strategy to corporate law, we are able to provide information. If need be, we get ourselves involved in starting initiatives, co-work, programs and formats or even companies. We take ideas into our own hands and affiliate with established firms and startups. In addition, we are also investors, and are on many advisory and supervisory boards. Founders have to fight for their lives from day one. They develop their position, acquire customers' validation, learn quickly and have to inspire. That's where many established organisations can learn from. No wonder we like to move in founder-settings. We keep reminding ourselves that culture is the game changer. Without agility, no startup can go far. Here we build bridges in the big organisations of this world and help to develop the culture in the established circle. Talk to us, we are more than willing to share our experiences with you. We work with you to clarify your strategy and moderate your process. We pay attention to clarity and momentum in your organisation. All stakeholders need clear messages and relevant content. We work with your teams on how to broaden and intensify your strategy. We produce media and content that help you can portray yourself both internally and externally the clearest way possible. In today's media flood, we focus on clarity and attention to your messages. How do my customers, employees and partners perceive me? And how do we want to position ourselves? What are our unique selling points? What added value do we offer? For which services are we too easily replaceable? Where do we have to improve? In what areas are we already excelling - and nobody knows? These are the positioning questions you need to ask! Positioning helps to set up one's own positioning in communicative patterns and relationships. It is more than branding and marketing, it defines and explores the unique position - your value proposition. It is the breeding ground for which your partners and customers not only hire and pay you, but also why you become irreplaceable for them. It views your product and service portfolio (i.e., explicit "value propositions") in the same degree it views less visible yet noticeable factors such as know-how, skills and mindset, lived values and corporate culture. The positioning also provides the content for your employer branding. Employer Branding. Observation needs an observer. Far too often, we succumb to the false notion that we have a complete picture of ourselves. There is a need here for fresh views from the outside, which enables an independent stocktaking and evaluation, helps to shape the further process and can "moderate" the interests involved. A positioning process takes time if it is to be thoroughly prepared and implemented. Ultimately, we want to get everyone involved and communicate to them the positioning and their strategy both internally and externally. Not only do we have a set of tools, we also have several years of experience in strategy processes that can surely help you. Whether portfolio analysis, new branding, indoor or outdoor positioning, we are happy to be of great assistance to you. Contact us, we are willing to share with you our many references from industry, pharmaceuticals, social enterprises, investment and change projects. To achieve sustainable change, we follow a three-step process. We get to know your organisation and understand the peculiarities of your playing field. With workshops, interviews and analyses, we achieve a deep understanding of your position and demands. Our aim is to work with you on developing pragmatic and sustainable solutions. We bring strategy and transformation together with training, positioning and change management. Our experience affords you a comparison with similar organisations. We lead the implementation of your agenda and manage the process up to your break-even point and eventually to success. We produce content and media, train and coach, organise events and workshops. Your impact is our success! Lumen is a collective of experienced partners who have garnered a wealth of experience as entrepreneurs and investors in various scenes ranging from Co-working Spaces to Social Business to Creativity and Design, HR and Strategy Consulting. With over 15 years of experience in Strategy and Personnel Management, Marlin has worked with large corporations across the expanse of diverse fields ranging from IT and Software, Services, Financial Investment, Construction, Pharma to Supply Chain and Medtech. He has to his credit an incredible estimate of 10,000 hours of consulting in the field of Change Management, Mindset, Transformation, Strategy, Skills, Staffing, Structure and New Work. More than half a decade as a founder, community builder and entrepreneur, Dominik established the Coworking Space Heimathafen Wiesbaden, a hub for the innovation community in the Rhein-Main region. He is an ardent supporter of startups, corporations and communities, setting up conducive eco-systems for the advancement of innovation and entrepreneurship. He also serves as a college lecturer, teaching on the subject “Strategies for Future Markets”. Serving as a senior lead at the Landeskirche Hannovers and sh|ft, Motoki is laden with the desire to be a pioneer on many fronts. He has gone ahead to found Lumen Design and Lumen Partners alongside many other agencies, organisations and initiatives that remain fully in operation till date. Although he may seem younger in appearance, he has gained more than 20 years of experience in strategic communication, innovation design and entrepreneurship. The first half of his professional life, he worked as a corporate lawyer for large corporations in the fields of M&A, IT and Investor Relations. He is currently writing his PhD project in the field of Digitalization Strategies and is in a publishing deal with Springer Gabler on a publication on Mindset. Author, founder and a creative mind, Sven has been developing innovative platforms and social enterprises with his wife for over 25 years, including the famous School of Love Berlin. He has had over 13 years of international experience in Asia and Africa. His area of specialisation is coaching and mentoring of entrepreneurs, intercultural community building and value management. Lateral thinker, moderator and coach. Serving as an active member of a well-known German software provider and as a coach at Lumen Partners, Esbjörn has been providing support for individuals and groups across various sectors for over 12 years. His key area is in the moderation of problem solutions and solutions for future challenges. As a lean coach, he facilitates the agile implementation and development of necessary thinking and working methods. Creative leadership, non-violent communication, design thinking and structures that unleash potential; those are subjects dear to Esbjörn’s heart. Daniel Nowack is a data-driven innovator. For many years, he built corporate accelerator programs for Yunus Social Business and Growth Mechanics and has developed new products and services for international companies such as Siemens, McCain and IKEA. 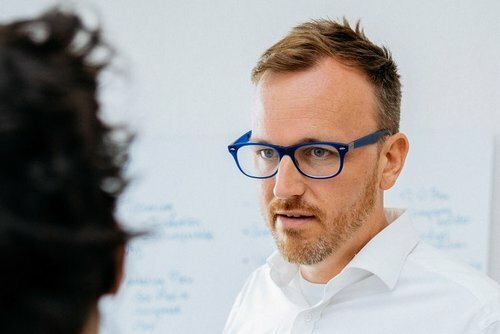 As part of the Heimathafen Wiesbaden, he connects startup and innovation culture with companies, institutions of higher learning, provinces and municipalities. As CFO and Head of Business Development, he has supported four mobile and online startups in product development and financing. He began his career in Corporate Finance at Merck & Co. Inc. in New York and Amsterdam. As an investment manager in private equity for buyouts, M&A and venture capital investments, he tutors startups and corporations. He identifies the potentials of high-tech companies and seeks strategic investments. He is a sparring partner and an advisory board member for many startups and established firms. Lumen transforms businesses, cultures and minds. We bring innovation, agility, digital mindset and purpose into the heart of organisations and we haven’t even started yet. At Lumen, our commitment is to your success. Our formidable track record proves that achieving sustainable change is not rocket science. This is what we do. We take your investment in our services seriously and are absolutely certain of a long-term ROI. Sample analysis for a company with 100 employees. You can find out your potential ROI too. Reach out to us today and we’ll be more than glad to compute that for you. Why are we investing in the area of culture and communication? There is no doubt that the effects cannot be easily substantiated into whole definite numbers. Change can be sometimes dreadful, can alter career planning and has its phases of ambiguity. Nevertheless, its influence is visible across the top and bottom line. Our team has acquired years of consulting and organisational experience. We have been employed in firms and have also done our thing independently, this is why we can categorically say that we have a deep understanding of the business landscape, be it in change management, financing, strategy, communication or human resources. Trust us to bring our extensive knowledge and seasoning into every project we touch. Our trainings are vibrant, guarantee different perspectives and take on your project with a holistic approach. Big or small, traditional or modern - we’ve done it all. We have tutored startups and transformed multinational corporations. We have counselled churches and scaled crèches. We have little overhead. We are flexible. We are fast. Lumen isn’t an “all talk - no substance” entity. Because our reputation precedes us, we back up our words with a great deal of action. We work for multinational corporations and small/medium scale businesses, traditional and new age companies. We effect change at the beginning, in the middle and at the end. Whether for clarity or planning, for development or implementation, we accompany organisations on their way to success. Therefore, we have selected a few cases we (have) work(ed) on as proof of our hard work and success. We are currently working with the senior management and functional teams of a large insurance company and an NPO to work out future strategies. For cultural changes, we design workshops, learning trips and barcamps, break down the projects into practicable work packages and shape the desired transformation with the employees and partners. At an international pharmaceutical company, we are working with the management team on the values and expectations of their organisation. We develop standards via workshops, conceptualise communication strategies, position departments and lead the rollout by moderating large group events and creating a “train-the-trainer” concept. develop key messages and create graphics. give advice on management concepts and develop strategic options. With powerhouses from the Rhein-Main region, we are taking the first steps towards transformation. We are designing a learning journey for two role models in digital transformation - a larger company and a startup. We conceptualise the journey, select learning locations, arrange the discussions and secure the transfer results. We are working with the American movie giant, 20th Century Fox on the marketing of a film in the German market. Lumen was entrusted with the communication strategy and the public relations work for "Exodus - Gods and Kings" - particularly targeting church and christian circles in Germany. The co-working space Heimathafen in Wiesbaden is bursting at the seams. More space is needed to contain the overflowing amounts of creatives who come here. How pleasant is it that the Altes Gericht in Wiesbaden is just right there and empty! We develop the communication concept, go into talks with stakeholders from politics and business, develop room layouts and secure financing. In our partner locations and interactive programs, we bring the transformation closer to you. Some topics can only be explored on the surface by lectures or seminars. Corporate culture and mindset are part of it. For this we have developed a showroom program, which brings you close to those from which you can expect inspiration for your working world. Contact us and get a mindblowing impression of the power of mindset and new ways of working. Heimathafen is a 450 sqm site where DAX and Startups meet, where practical use meets comfortability. Here, there are co-working spaces serving as headquarters to 15 startups, 50 creatives+freelancers, 100 annual events and numerous conferences and corporate events in an inspiring environment - and the connection to our creative network is just around the corner. More than 2,000 sqm, Hafven merges coworking and creator space. This means office workplaces, meeting and workshop rooms, a fabrication laboratory, wood and metal workshops and a café are all merged into one big accomodation for creators and entrepreneurs. There are currently over 800 members using this open space simply to create, including self-employeds, employees, startups and corporations. Do you need more entrepreneurs in enterprising? Would you like to stir up your organisation from the inside and give it new impulse? We have put together a 6-module program that teaches innovation methods and enables you to test your ideas like a startup. We bring you in touch with seasoned experts on agile business models and customer focus. We usher you in to Culture Change and the necessary strategies to effectively market your ideas. Contact us if you would like to know more. You need more momentum and innovation in your organisation? We specialise in culture and help you realise a pilot for your department within 6 weeks. We use our years of experience in co-working spaces and consultancy in large corporations to set a new phase for your culture with you. Contact us if you would like to know more. In one day, we take at least a team of up to 50 people on a learning journey on how to evolve into two companies that have mastered digitalization for themselves. We select the companies, organise and help with the transfer deliberations. We tailor the learning objectives to your organisation. Contact us if you would like to know more. Impassivity is not our thing at Lumen. We possess strong convictions and we speak and write about them. In this section, you will find all sorts of media on everything that has to do with agile, digital and social change. Just a click away and of course, at no cost. There are many gems to pick out here. Have fun doing just that! What mindset and changes in attitudes/standpoints should we cultivate if we want to achieve potential development rather than potential inhibition at work? Dominik on Co-work, Collaboration and Cooperation. What these mean for communities, cities and for the future, as well as the mindset necessary to create a change. Mindset, Grit and Peak - what psychology teaches us about success and our chances. At Lumen, we believe in the power of right attitude and believe that you can benefit from it. This is why we are shedding light on the core ideas of three masters for you: in pictures - simple and easy to digest. Faster, more agile and more courageous, our partner Marlin Watling reveals in this video what established companies can learn from start-ups: speed, purpose, failure, focus. By the way, Heimathafen Wiesbaden, one of our closest partners, hosted this event. 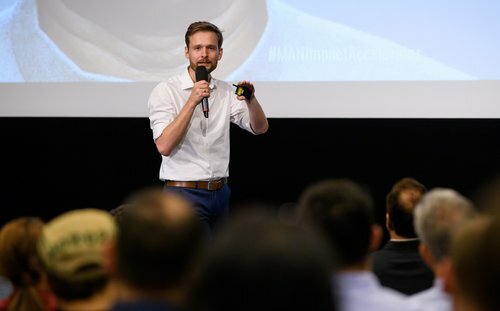 Marlin talks about his tried and tested startup tricks which have proven to be very efficient in corporate environments at the Heimathafen Wiesbaden Donnerstalk. Examples: Speed & Focus, Purpose & Values, Storytelling & Positioning, OKRs & Failures. Thanks to Dominik & the Heimathafen team for their friendship and partnership! AUDIO: WHAT ROLE DOES ETHICS PLAY IN DIGITALIZATION? At Lumen, the phrase "we transform" is preconceived on two ideals: change and values. But where do they come from? Lumen partner Dominik Hofmann invites an exciting guest panel to Heimathafen Wiesbaden to discuss this. Featuring EKHN president - Volker Jung, Birgit Heilig from SEND e.V., and Daniel Nowack from Yunus Social Business. Please contact us for a non-binding discussion and first thoughts on your case. Thank you for contacting us. We will get back to you in a jiffy.